Recent syntheses of paleoclimate data fluctuations of the last 2000 years suggest an early response of temperatures to anthropogenic forcing. However, hemispheric analyses suggest a lag by the southern hemisphere by a few decades - a result that is not replicated in models. We are using cosmogenic surface exposure dating methods to determine a chronology of mid-latitude glacier fluctuations from North and South America. We hope to address the model-data discrepancy and fill in a high-elevation, mid-latitude gap in the data used in the syntheses. This research is complimented by the use of surface energy mass balance models. Future changes in sea level will largely be dictated by changes in the world’s ice sheets. Yet, the magnitude and rate at which these ice sheets will respond to climate change remain uncertain, thus necessitating a deeper investigation into past ice sheet-climate interactions. Knowledge of past changes in the Laurentide Ice Sheet (LIS) is particularly valuable, as this ice mass held the equivalent of 80 m of global sea level at its maximum extent. Numerous studies have documented the timing and pattern of LIS margin retreat since the Last Glacial Maximum (LGM), but few studies have provided vertical constraints that detail thinning histories necessary for accurate sea-level contribution estimates. Here we present 21 36Cl ages from boulder and bedrock samples along vertical transects spanning ~1000 m of relief from multiple peaks in the Adirondack Mountains of northeastern New York, USA. Excluding outliers, our exposure ages span the LGM through the deglaciation, with the highest elevation sites (~1500 m) ranging between 25 ka to 21 ka, and the lower elevations sites (<1000m) between 16 ka to 13 ka. Comparison of sample age versus elevation indicate early gradual thinning of 200 m followed by rapid surface lowering of 1000 m. Ice profiles determined from previously reconstructed ice sheet margins are consistent with the thinning pattern recorded in the 36Cl data and reflects gradual, early retreat from the LGM margin to the south, followed by rapid mid-deglacial retreat of the steep ice flank across the study region. Our new work suggests a substantial thinning of the southeastern LIS in the Adirondacks during the Bølling warming. 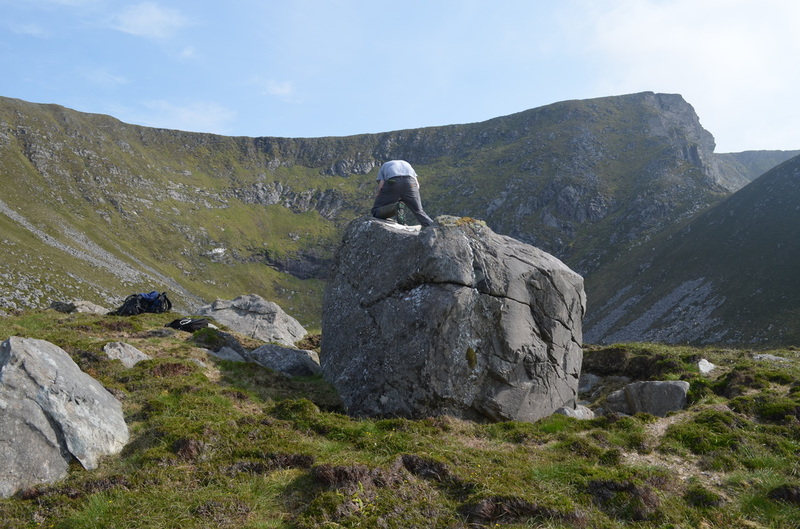 Due to its position in the North Atlantic and downwind of deep water formation, Ireland is an environment that is sensitive to perturbations of Atlantic overturning circulation and its associated heat transport. For this reason, it presents an ideal location for determining millennial-scale fluctuations in the climate of Northern Europe during the last deglaciation. 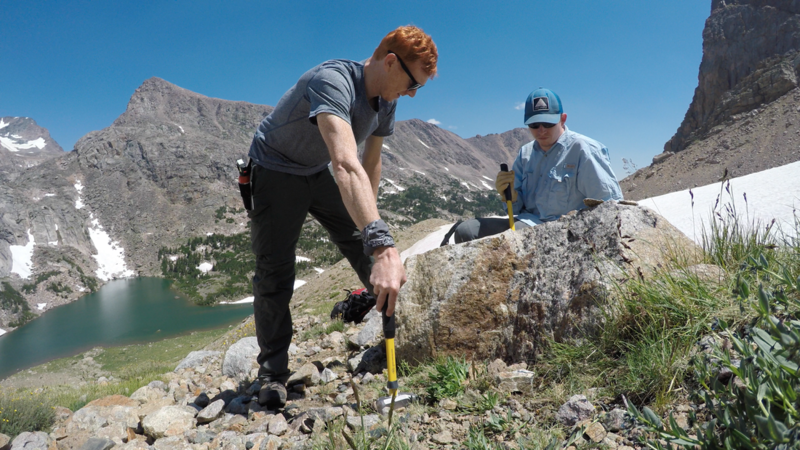 Focusing on the landforms left by alpine glaciers that are more susceptible to climatic changes relative to large ice sheets, our hope is to constrain a deglacial chronology that demonstrates such variability. 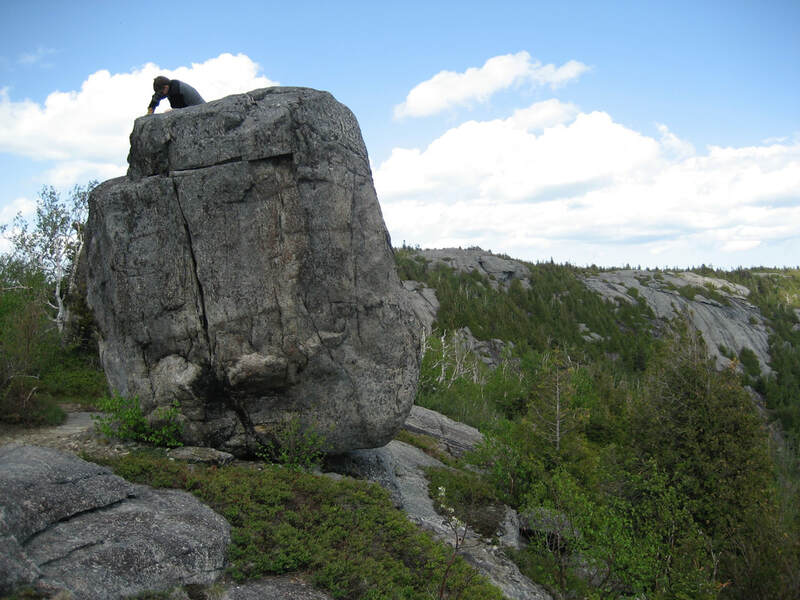 Our strategy is to use cosmogenic surface exposure dating techniques on boulder erratics left behind by these glaciers to determine the age of moraine abandonment across the country. 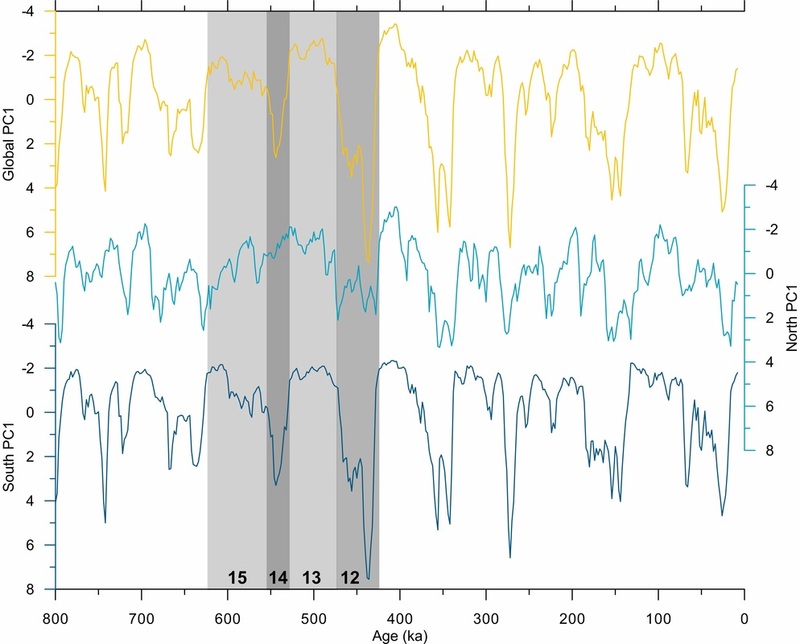 The Mid-Brunhes Transition (~430 ka; MBT) has been described as an increase in the glacial-interglacial climate cycles of the past 800,000 years. Temperature records from ice cores indicate that prior to 430 ka the interglacials were in fact cooler than those after the MBT. Additional records of benthic oxygen isotopes suggest that the interglacials from 430-800 ka experienced higher ice volumes relative to the younger interglacials. Yet to be answered though is whether the MBT was a global phenomenon or regional. We characterized the climate system across the MBT through geostatistical analyses of multiple climate proxies including sea-surface temperatures, benthic carbon isotopes, and dust accumulation. Our results demonstrate that the MBT was in fact a global event with a significant increase in climate variance. Furthermore, a sequence of events leading up to the MBT starting at MIS 14 may suggest a more complex transition.